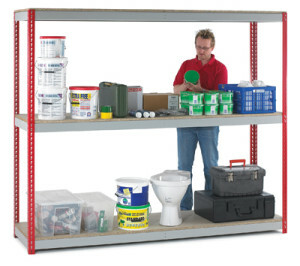 Just Shelving is one of our best sellers and can be used for a number of applications across various sectors. 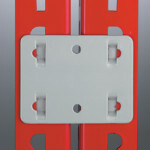 Each bay is stand alone and can be joined in runs using joining plates that can be supplied. 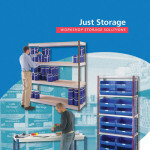 Has a high load rating compared with many inferior products and is ideal for storing heavy items up to 3000kgs. Popular with dispatch and warehouse applications. 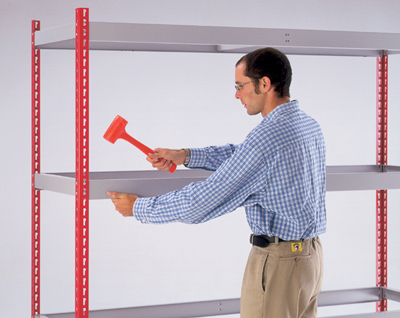 Just shelving is an extremely versatile product which has no nuts bolts or screws. Very easy to assemble using a tap-together framework that can be erected with just a rubber mallet. Chipboard shelves are simply fitted into position once the uprights and beams are in place. Comes in a range of shelf widths and depths and with a choice of standard or heavy duty depending on your application needs. There are also a number of Just workstations and workbenches available. 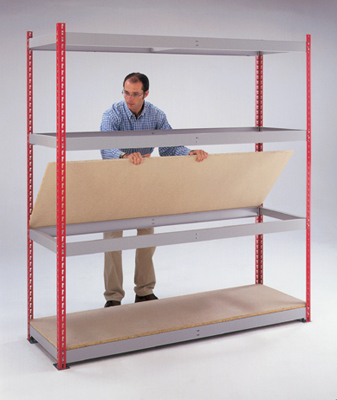 Click here to shop securely online for Just Shelving.